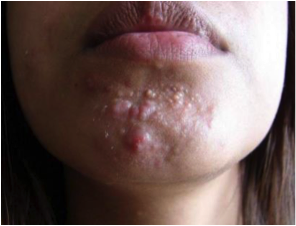 Acne vulgaris is not just a cosmetic disease. Yes, acne does affect the way a person looks and is not otherwise a serious threat to a person’s physical health. However, acne can affect a person’s self esteem and sense of self worth. For these reasons it is very important to treat acne when it begins to appear. 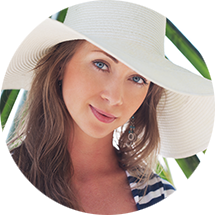 If you’re struggling with blemishes, Dr. Deborah H. Atkin, our experienced dermatologist, can help you find a treatment that works. 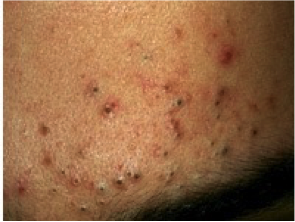 Comedonal acne is when hair follicles become clogged with dirt, bacteria, and dead skin cells. This causes blackened comedones (blackheads) to form. Comedones that remain covered with skin are called whiteheads. Whiteheads typically don’t break through the skin; they remain an inflamed bump often filled with pus. This is a mild to moderate form of acne. Inflammatory acne occurs when the pore is clogged and your immune system reacts by sending in white blood cells to fight the infection, the surrounding area becomes red and swollen, or inflamed. Inflammatory acne results from the rupture of the wall of the hair follicle or pore, leaking bacteria and oil into the surrounding skin. The closer to the skin’s surface these events happen, the smaller and more minor the breakout will be. 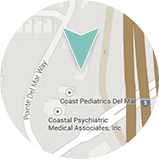 If the rupture occurs deep inside the pore, you may experience a cyst – a large, firm bump located deep inside the skin. Inflammatory acne is often throbbing and painful as the blood flow increases to the area delivering white blood cells to contain and fight the infection. Nodular or Cystic Acne is characterized by deep and painful bumps; these acne nodules and cysts are filled with blood and pus. They can linger under the surface for weeks to months and are likely to leave scars. 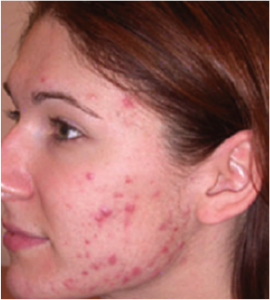 Cystic acne may be caused by hormonal imbalances or changes. Acne may be treated with oral antibiotics and topical creams, specialized skin care regimens that include in-office treatments and laser procedures. In extreme cases medications such as Isotretinoin (Accutane) may be necessary. If you are female, your physician may also recommend oral contraceptives to treat hormonal acne. A board certified dermatologist is the best person to discuss your acne concerns and can be your greatest ally in defeating acne.